Xunantunich flourished during the Clasic Period which managed to survive the Maya “Collapse” and retained prominence until around 1000 A.D.
Join us as we explore the fascinating history of these two impressive sites. 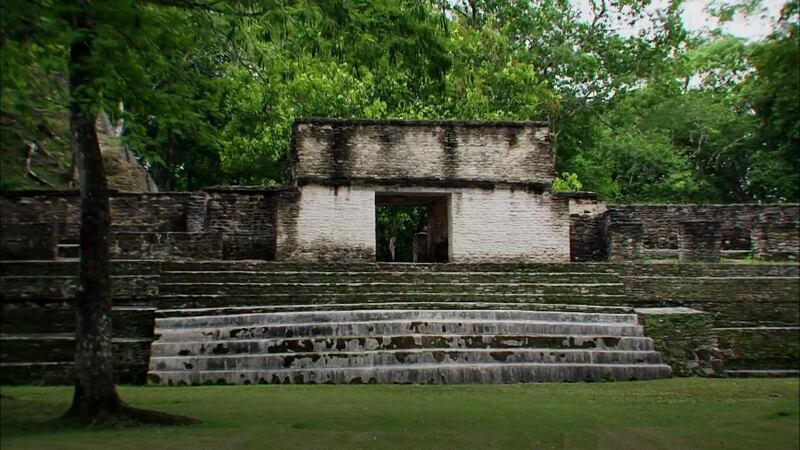 For your Xunantunich Ruins tour you may chose to begin with a pick up from your hotel at either at 9:00am or at 1:00pm as this is a half day tour and does not include lunch. It is a mere 10 minutes drive from Rumors Hotel to San Jose Succotz. Then, from there we cross the Macal River via an old-fashioned hand-cranked ferry. All passengers must exit the vehicle while crossing. Subsequently, we have another 3 minutes drive up to the park’s parking lot where our exploration starts. Next, a short walk up to the site will cover your guide’s briefing on safety procedures and what to expect. 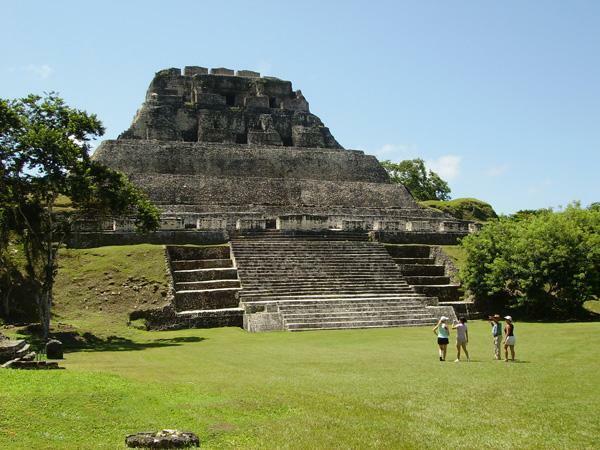 While arriving to this site, you’ll be amazed that the Temple of El Castillo actually is remarkably 120 feet in height. Pay close attention to the history of this once royal center of ancient civilization as your guides walks you through the site. Feel free to climb to the top of El Castillo for a jaw-dropping panoramic view of the surroundings which encompasses part of Guatemala, Benque Viejo Town, and San Jose Succotz among other areas. An on-site museum will give you an overall idea of this ancient city’s actual size. Guests often combine the Xunantunich Maya Ruins with the Cahal Pech Maya Ruins or River Canoeing on the Mopan River, Horseback Riding, Butterfly Farm or any other half day tour. 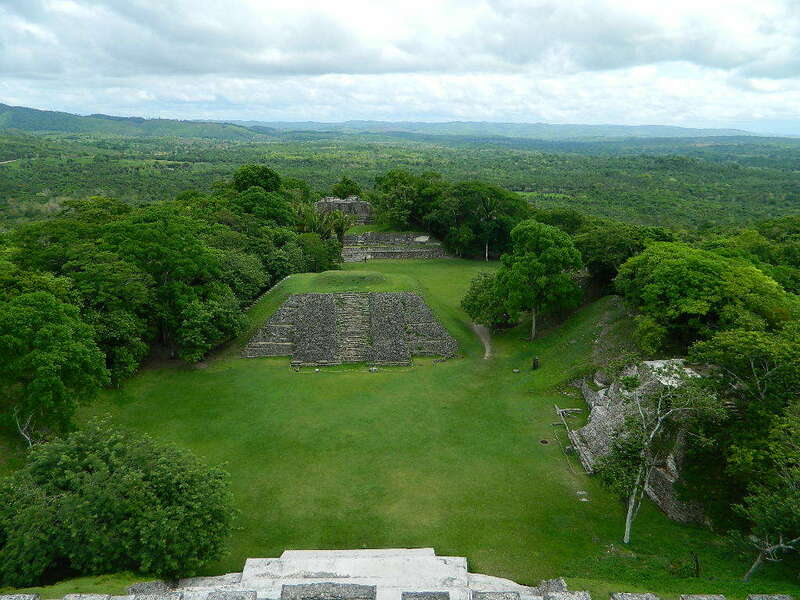 Cahal Pech was the royal acropolis-palace of an elite Mayan ruling family who lived during the Classic period. 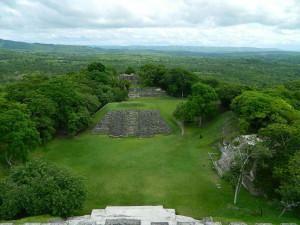 Cahal Pech was settled around 1000 B.C. 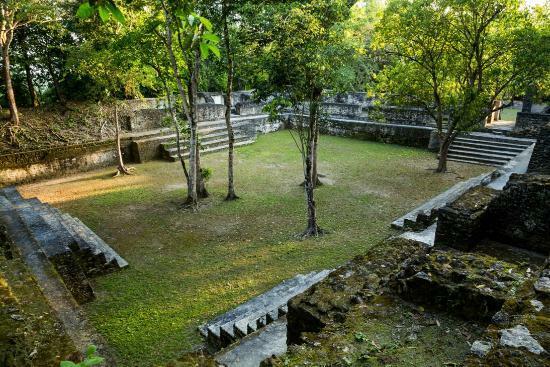 and abandoned by 800 A.D.
For your Cahal Pech Tour, you may again choose to do it either in the morning or the afternoon as this is also a half day tour and does not include lunch. This site is a mere 5 minutes drive from Rumors Hotel to the Cahal Pech site in San Ignacio Town. Although not as scenic as Xunantunich, this site will impress you with its beautiful archways, seven plazas, and over 30 structures. These include residential buildings, temples, an altar, ball courts, and a sweat-house– all situated on just 2 acres! At this site, archaeologists discovered a royal burial chamber in one of the structures. Inside the tomb, a ruler had been laid to rest with the paraphernalia necessary for the afterlife. An on-site museum at the visitor center has a model of the site, excellent painting showing Cahal Pech in at its peak, and an interpretive film. 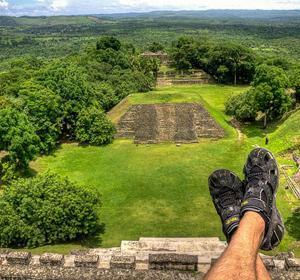 The Cahal Pech Maya Ruins are usually combined with The Xunantunich Maya Ruins or River Canoeing on the Macal River, Horseback Riding, Butterfly Farm or any other half day tour. Duration: Approx 2.5 hours at each site. What to Bring: Sunscreen, sun glasses, solid hiking shoes, bug repellent, camera, hat, water. Note: These tours may be combined with other activities in the area since they are both half day tours. These sites are within close proximity to San Ignacio Town & Succotz Village or Benque Viejo Town. 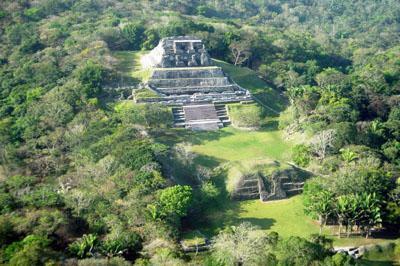 Light physical activity will be required for those who wish to explore the Mayan ruins on foot. Please wear appropriate walking & climbing shoes. These tours are suitable for all ages.